Abdur-Rahman Ibn Abdul-Aziz As-Sudais An-Najdi is a Saudi world renown reciter. He was born in Saudi Arabia and he’s originally from the `Anza clan. As-Sudais is the leading Imam of the Grand mosque in the Islamic city of Mecca. 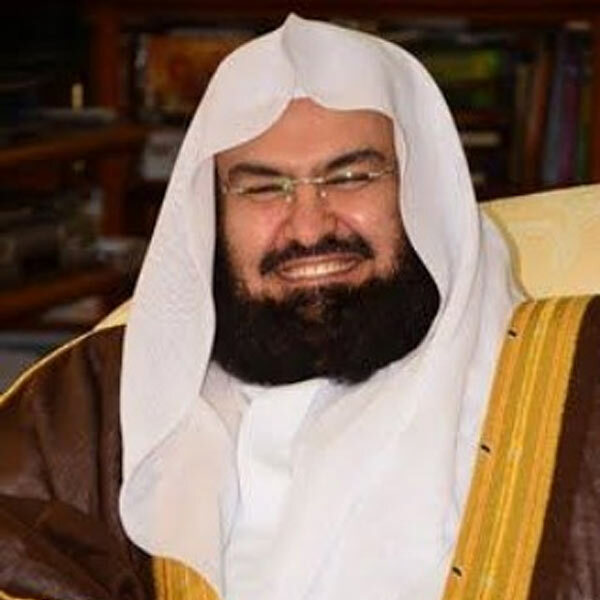 At the age of 12, As-Sudais memorized the Quran, and studied in “Al Muthana Bin Harith” Elementary School and was graduated in 1979 with a grade of excellent in Riyadh Scientific Institution. As-Sudais studied in Riyadh University and received a degree in Shari`ah in 1983, and a Master from the Shari`ah College of Imam Muhammad bin S`aud Islamic University in 1987. In 1995 he obtained a PhD in Islamic Shari`ah from Um Al-Qura University. Sheikh As-Sudais is known for the particularity of his voice and for his emotional recitation of the Quran in accordance with Tajweed. In 2005, he received the prize of the ‘ Islamic Personality Of the year’ in the 9th annual Dubai International Holy Quran Award.